For decades, delivery was largely synchronous. You had to be in the right place at the right time, or you’d end up with a look of disappointment and a ‘hastily scribbled card through the door’ from the courier. Amazon is revolutionising the delivery mechanism with technologies like ‘smart lockers’ that let couriers deliver when they arrive – while customers can collect when they’re ready. Velocity Smart Technology has just launched a new take on that concept for the UK market – specifically targeted at technology support. Velocity was formed 5 years ago by a group of technology workers in the City – who were at Trinity Mirror Newspapers at the time. Director, Anthony Lamoureaux told us, “We’d all experienced last minute technology failures, at odd hours of the day – where a replacement part was needed urgently. For example, a laptop failure at 5pm on a Thursday – and my support department are telling me that they could swap it Monday morning. It was painful”. “My partners and I began wondering, ‘What if a fully-configured replacement could be made available an hour after the support request was made? '”, he explained. “That kind of question inspired our development work”. At the simplest level, a company can have a locker with all the standard products that people are likely to need at short notice: Cartridges, cable, external drives or monitors. But with larger organisations, those running Microsoft SCCM or similar, have some very interesting options. 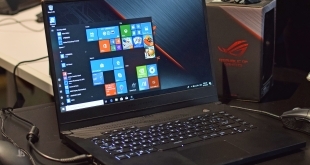 “Having established that a replacement laptop is needed, your support team can use remote tools to configure a laptop within the locker to your exact set up – right down to installed software and recovered data files”, explained Lamoureaux. “The process takes less than an hour. You are emailed an authorisation bar code, go down to the locker, scan the code, take the replacement unit out and put the broken unit in. When the support team have time, they can recover the broken product and repair it – ready for the next customer”. Velocity were happy to demonstrate the unit for KitGuru and it’s certainly an intriguing idea. The shelves are configurable, so you can have anything up to a large desktop, a 27″ iMac or professional monitor. They units can also be daisy-chained, to give a building as much storage space as it needs. 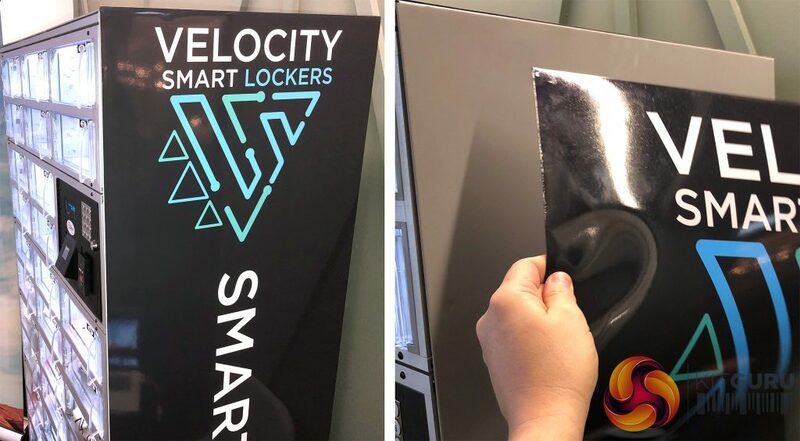 “By making allowing it to be used by any courier company, or even a vendor like Dell or Lenovo, the Velocity Smart Locker can become the automated delivery point for any service that wants to deliver to the building”, he told us. “Average replacement times in most organisations are close to 3 days. With this system, that can be cut down to less than an hour in most cases”. “It’s fully compatible with the leading service management packages and the complete cycle of request-authorisation-collection can be as little as 60 seconds – even with security measures in place”, we were told. The units we saw had see-through polycarbonate doors for demonstration purposes but the system also supports blacked out or even stronger metal doors. Velocity demonstrated the product to us using an emailed bar code, but it could just as easily have been a PIN code or special ID. So how much would this kind of set-up cost an organisation? We were told that the locker you see in the photos is less than £30 a day with full support. For a large organisation with lots of people in one location – or a building with a dozen companies sharing a locker – that would bring the effective cost-per-person close to zero. 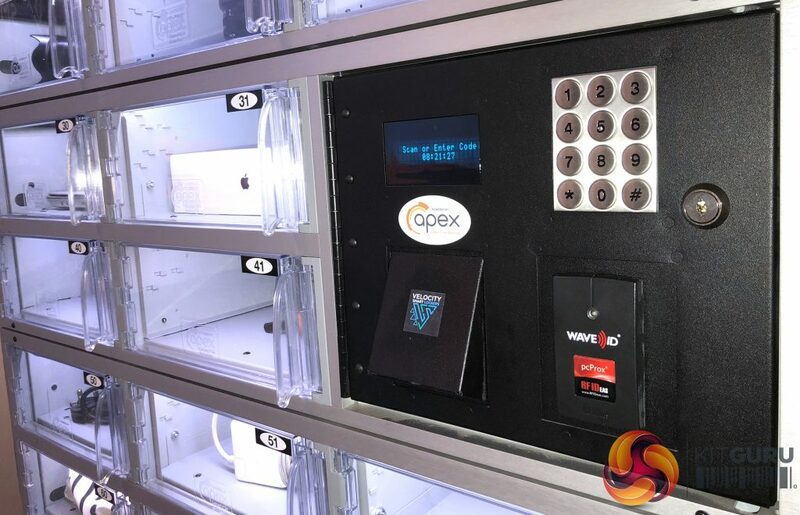 Having asked about compatibility with other solutions – specifically an Amazon locker delivery service – we were told that there is no reason why the Velocity system could not also serve as an online shopping delivery point. In reality, these units seem to make sense for any forward thinking tech support department. The potential for Amazon connectivity would be a major on-the-job-benefit for staff who can’t be at home for deliveries. We’d certainly anticipate around 100% slot occupancy around Valentine’s and Christmas. The ‘wrap’ on the system is held in place magnetically, so can be used to give instructions or to promote products and services. KitGuru says: Lockers are not a new concept, but intelligent integration could provide an interesting option for companies and suppliers alike. We’re used to living in an online ‘instant gratification’ world, with the last ‘point of disappointment’ being the missed delivery. If the price is low enough, maybe every building will have this kind of system in the future. Next AirPulse A200 2.0 Speakers Review – blow your eardrums!